2001 AU XR8 Ute 4.9 Litre Manual. 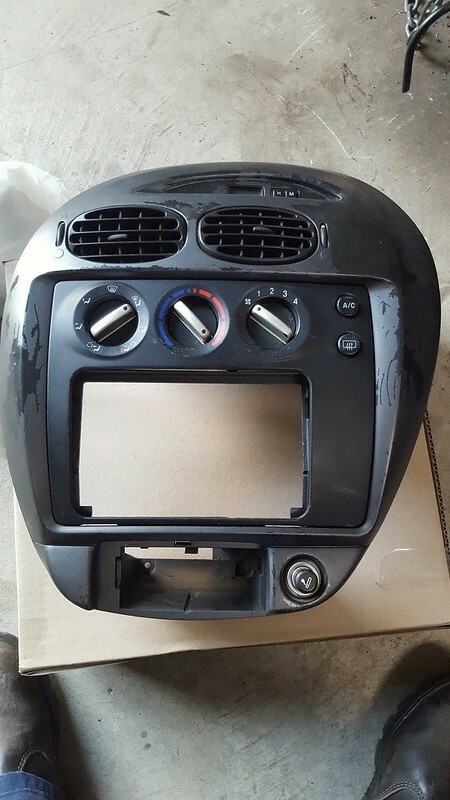 Brett so you're after the black part with all dials and AC/demister buttons or just part of that? I have a few and can post. PM if keen. Hey Pride, are there replaceable clips on the back of those fascias? Mine has had a rattle since I got it (presumably from the previous owner changing the stereo). Just wondering if I could just replace some clips or if I'd need another one. The grey surround has six metal clips behind it as in these pics. The black bit is mainly screwed into grey bit. HI There, so my vacuum unit is cracked and leaking, yours looks complete I don't really need the surround but up to you. I live in NSW 2317 how much you looking for it. Send me a pic of the bit you're after mate and I'll price it. Hello, Im having trouble uploading the photos but I need the whole white part in your photo, they get old and crack. No probs, PM me and we'll work it out.